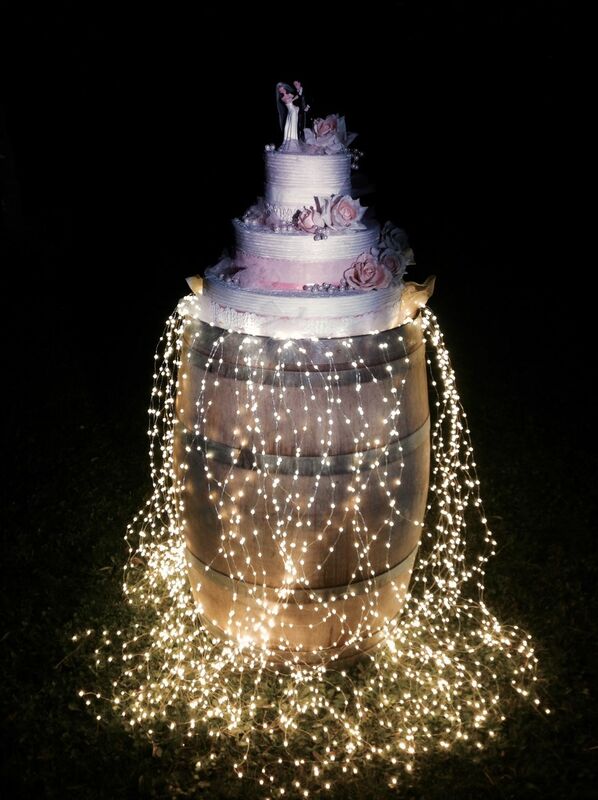 Wedding cake lighting with led lights fall on an authentic barrique. 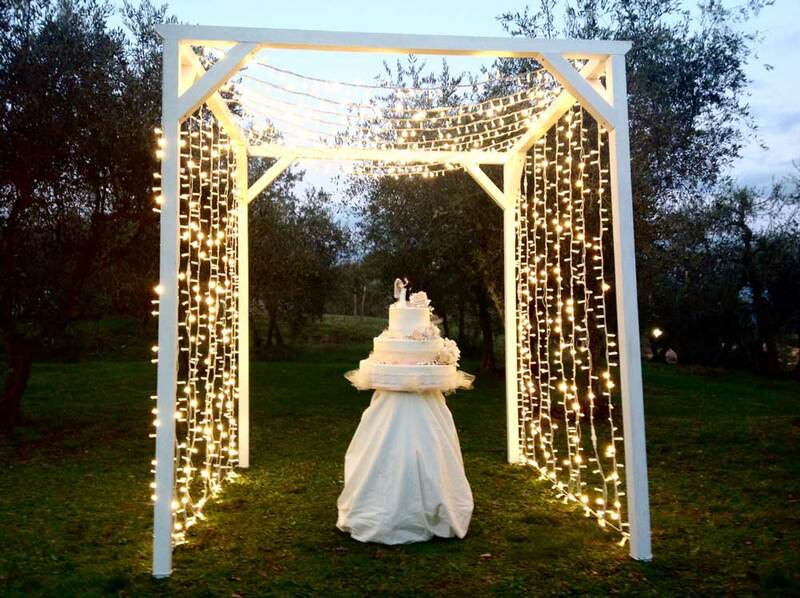 ding cake lighting with fairy lights hanged on a white wooden frame. After the cutting of the cake, take an amazing picture under the brighten frame!